Now I understand why Johnny Depp was being such a dong about paying Amber Heard her money. 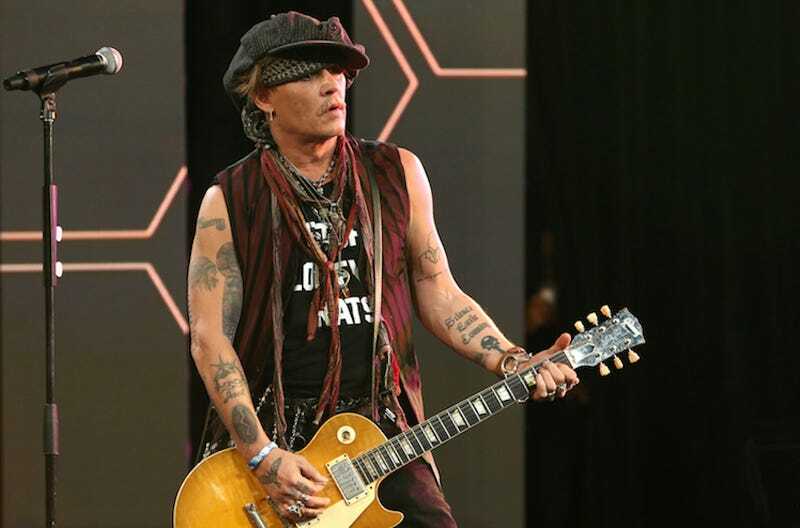 Earlier this month, Depp sued his business managers for misconduct, for allegedly stealing $28 million in fees he never agreed to, failing to pay his taxes on time and loaning $10 million of his money out without his consent. According to the Hollywood Reporter, a cross-complaint filed today by his ex-managers Joel and Robert Mandel claims that Depp’s extravagant lifestyle and the reported $2 million he spent a month is to blame. Depp spent in excess of $75 million to acquire, improve and furnish 14 residences, including a 45-acre chateau in the South of France, a chain of islands in the Bahamas, multiple houses in Hollywood, several penthouse lofts in downtown Los Angeles, and a fully-functioning horse farm in Kentucky. Wait, there is so much more. Like this: “Depp also paid over $3 million to blast from a specially-made cannon the ashes of author Hunter Thompson over Aspen, Colorado.” I can’t! Johnny! What are you doing?! “Depp, and Depp alone, is fully responsible for any financial turmoil he finds himself in today,” the suit read. If any of the above is true, it sure sounds like it to me! Being famous looks like a very specific hell, but I’d say that Chrissy Teigen is doing a very good job of weathering the storm. Chrissy Teigen loves Twitter and if anyone could actually be “good” at it, I would say that she’s up there. Today’s example involves a candid conversation about her IVF treatments and one woman who thought it wise to snark on her admission that she has one embryo left—a boy.